I finished chapters 3-5 this week. I was assigned this text somewhat by default, but I am really pleased with the content. Susan Delagrange has inspired me on many levels. First, she earned her PhD in 2005 after spending thirty five years as a Writing Center Director and earning her MA in 1971. After three decades of working in the discipline, she returned to school to earn a terminal degree and transition to scholarship on New Media. Talk about the non-traditional student. For someone like me, about a decade behind many of my peers, Dr. Delagrange proves that the length of one's education bears no weight on the quality of the person's intellect. She embodies the notion that we should never stop learning, and we can always make tremendous contributions no matter what road we take professionally and personally. As many of us who have children can understand, the work/life balance can sometimes cause our educational and professional paths to move more slowly, but Delagrange is proof that reaching the goal with speed is not what is important. Reaching the goal is. I am also incredible inspired by Delagrange's approach to New Media studies that includes principles of feminism and with incredible attention placed on the role of wonder and inspiration. Susan Delagrange argues four main points in her book. Approaching New Media studies with principles of feminism allows for issues of inclusion, heteroglossia (many voices), and embodiment to be raised, which she argues are integral to moving the discipline forward. Visual media and visually-driven digital objects should be granted the same privilege as print-based linear work in scholarship. With her background as a Writing Center Director, Delagrange argues that we need to teach and encourage more visual media production in the composition classroom as one way to destabilize the binary opposition between visual and text. Our sense of wonder should drive New Media scholarship as a point of inquiry, and wonder should allow us to focus more on the process of learning as opposed to a learning product, thus creating a modern day Wunderkammer (wonder-room). New Media scholars must not only focus on the critique of media objects, but must move toward a greater ability and desire to construct digital media objects. She advocates for more production-as-work and for more research into production theory. Delagrange has contributed three important points to the field in this her first book because she calls for change, which is one of the most important roles for a scholar to play. The first change is for the discipline as a whole to reconsider the usefulness of visual rhetoric. The construction of knowledge visually is a powerful and embodied practice with the ability to convey information in ways that text alone cannot - a space in which one can make his or her own connections and guide his or her own learning. 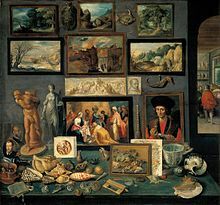 This is the idea of the Wunderkammer and something I hope we each keep in mind next time we are faced with making something. The second change is for the tenets of feminism to be applied to the discipline as an established theoretical stance for discussing disenfranchisement of women and other groups from Media Studies, for incorporating multiple subjects' perspectives in the creation and analysis of media projects, and the egalitarianism needed to equate visual with textual forms. The last change is in scholars and critics working in the field of New Media to abandon the solely negative analyses that pick apart a product for its flaws and instead to follow their own senses of wonder in the creation and building of digital products. She calls for a discipline "in which we and our students become active producers rather than passive consumers of visual digital rhetoric...that results in more generous, thoughtful rhetorical action" (19). Perhaps because she comes from a pedagogical background, the themes in the book have clear applications within the discipline in terms of scholarship and pedagogy. First, the value in Delagrange's work is most readily helpful as an approach to production. The word production itself invites the image of a finished product. However, Delagrange and her wonder-driven inquiry suggests that, much like our Individual Research Projects, the value in production is the working process. The explorations and tutorials and reflections and analyses are all part of that exploration and as important as reaching a finished conclusion. She urges each of us to let the curiosity guide us in the projects we choose, the decisions about what form in which we choose to present our knowledge, and the way in which we experience the scholarship of others. Second, be liberated. Emancipate yourself from the traditional forms you have been taught. Push the envelope on presentation and engage the non-linear, visual nature of the Wunderkammer. Create your own wonder rooms where embodied connections can be made. Third, there is value in this book if you are a teacher of composition and seeking help with how to produce your curriculum. There are specific details about pedagogical strategies that incorporate the visual and digital possibilities such as a photo essay requiring research of both primary and secondary sources. The students were able to make presentations using Power Point or video. 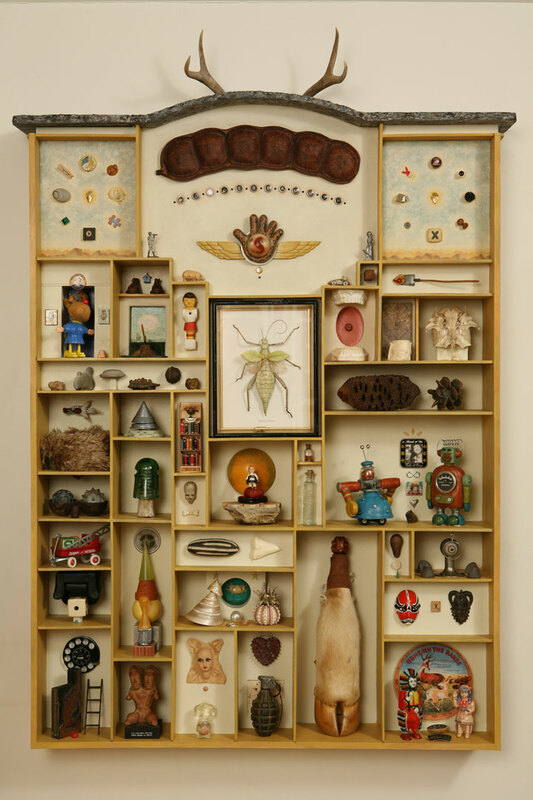 I have really responded to the idea of the Wunderkammer - a space where free associations can be made and the objects within are connected by the collector's own sense of wonder. It is truly the theory behind how I came to study the Underground Press; it was a project that continues to be driven by my interest, passion, and sense of wonder that are engaged by the topic. I also took her words about the role of the visual in scholarship and that the visual creations can create meaning in ways that text alone cannot. In order to make my plan for the Individual Research Project, I decided to return to the Popplet site I used for my mindmap. The visual representation shows flow of ideas and connections between the various tasks in a way that a textual narrative of my plans and experiences would not, or at least be a bulky and lengthy attempt. Placing the ideas in a non-linear space allows for a new perspective that can lead to new ideas. I think I will continue to be inspired and drawn to Delagrange's ideas about creating an embodied space for interacting with information through the visual, to incorporate a feminist perspective, to be fearless in production despite the anxiety, focus on quality processes rather than quality products, and to allow my wonder to drive my work. I want to create my own physical Wunderkammer, perhaps convert a bookshelf to a space from which inspiration and wonder can be drawn, where association otherwise not apparent can be stimulated by the embodied experience. I have been working steadily on my website and have started calling it a community archive. In the proposal, we were asked to connect our project to two of the theorists' work that we've read in class so far. I think that the concept "archive" has been the critical driving force behind my work. Arjun Appadurai's work with archives and collective memory, briefly discussed in Beer and Gane, is especially helpful in theoretically underpinning my research. He explains that interactive archives create a space in which collective memory can be stored. My community archive is not only a research tool, which I have seen and used, but it is an active. living organism of connection and collectivity. That is what excites me about the work most. After initially creating the site, which was a tremendous learning process in terms of navigating the transition from free blog to a registered and hosted domain, I got stuck about what to do next. I added plug-ins and tweaked the theme to be a social network using BuddyPress, and I added group functionality and worked to spread awareness through Facebook and Twitter marketing. When Professor Rodrigo gave me the advice to focus on functionality, things began to fall into place. I would like to take the opportunity to use this project as a stepping stone for work on a dissertation project discussed here. Create a WordPress blog and post a description of the project with pdf files of an underground publication. Publicize the blog and have it included in a library research guide. Purchase a domain and acquire hosting through Blue Host. Transfer blog content to web site. Add a Buddy Press plug-in to allow for the creation of members, groups, and forums. Created two groups for the publications I have worked with so far. Created custom background and header to basic Buddy Press template. I have started to publicize the domain, but have yet to ask anyone to join. I want to make some progress getting digitized versions of Bragg Briefs and continue working with Laurie Charnigo at Jacksonville State University on building the digital collection of Southern papers. I am not sure where to go from here. 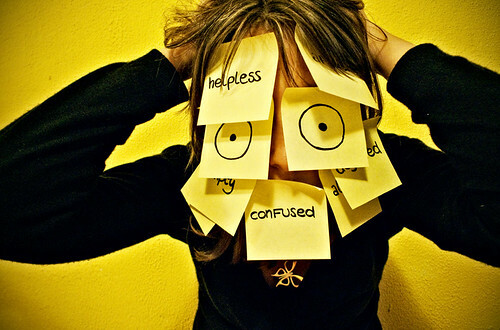 I know that I want the pdf files to be searchable documents. In the tutorials, I had some leads on ways to get that going - namely CONTENTdm, which powers the database of Great Speckled Bird. I am wondering if it would be possible to start working toward that goal for this project?